Is there Value in it, and Why You Should Care? 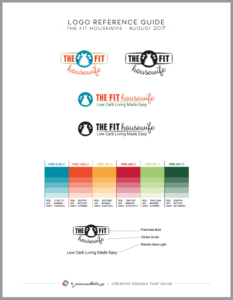 Once a logo design project has been approved, I provide clients with a LOGO REFERENCE GUIDE outlining all iterations of their logo, the colour palette with colour code specs and a typography outline. WHY? The LOGO REFERENCE GUIDE provided is a document for you to use as a guideline to ensure that your brand elements are used in a consistent manner. The LOGO REFERENCE GUIDE should be shared with anyone who touches your brand. All users should maintain the same fonts, colour code specifications and logos as they are shown and have been provided. 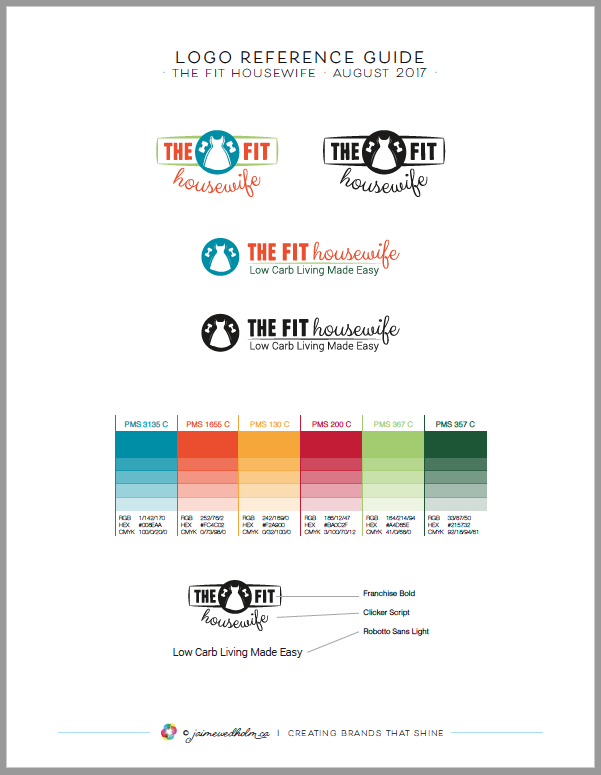 The sole purpose of your LOGO REFERENCE GUIDE is simply to help you maintain the integrity and consistency of your awesome new branding. The LOGO REFERENCE GUIDE I provide is a bare-bones version of a more complex tool known as “Brand Guidelines”. Brand Guidelines (aka Brand Book or Brand Style Guide) provides a more in-depth look at your brand’s tone of voice, photography style, clear spacing rules, examples of how NOT to use your logo and so on. Should you require a detailed document to help maintain your brand’s integrity as you grow your business, I am happy to work with you to develop it. This was a very helpful reminder to WHY it’s so important to have a clear branding. It’s one of those things that many will be tempted to cut corners or think they don’t need it on hand, but like you mentioned… for anyone that touches your brand it’s crucial to share. Thanks for sharing your insights. Happy to see you found value in the information I post here 🙂 Thanks Megan!